Apache HTTP server is an open source, cross-platform web server which was released under the license of Apache 2.0. It is developed and maintained by an open community of developers under apache software foundation. 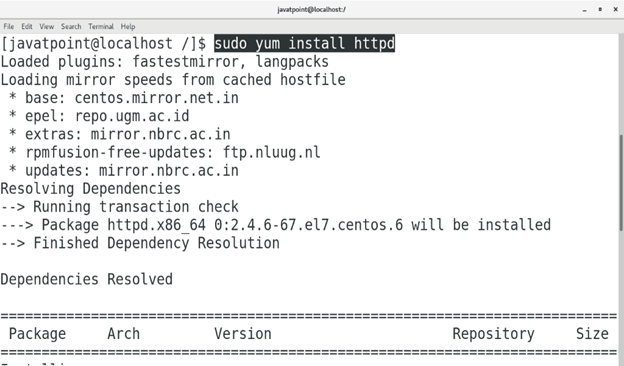 In this tutorial, we will learn the steps involved in the installation process of Apache on CentOS. Installing Apache Web Server on CentOS 7 is very easy. It just needs a single command given below. Execute the following command to start the Apache service. 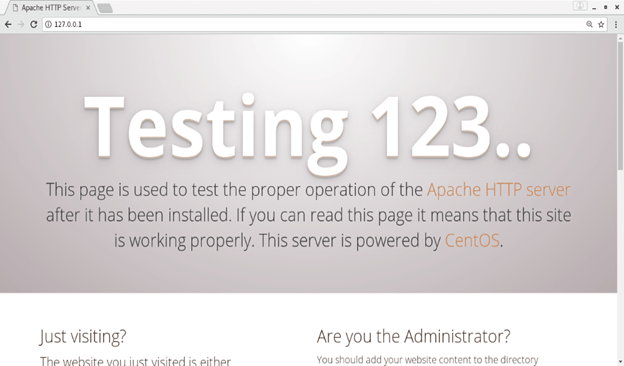 We can check whether Apache has successfully configured on our CentOS or not. We need to just type 127.0.0.1 (localhost IP address) in the browser's search bar. We can also check the IP address of the system by using the following command. If Apache Web server is configured properly on the system then the browser gives the response shown below. To make the apache service enabled on the boot, execute the following command. Execute the following command to stop Apache service. To disable Apache service on the boot, Execute the following command. Hence, we have installed and get started with Apache on CentOS.